South Florida’s wifisfuneral keeps going from strength to strength. 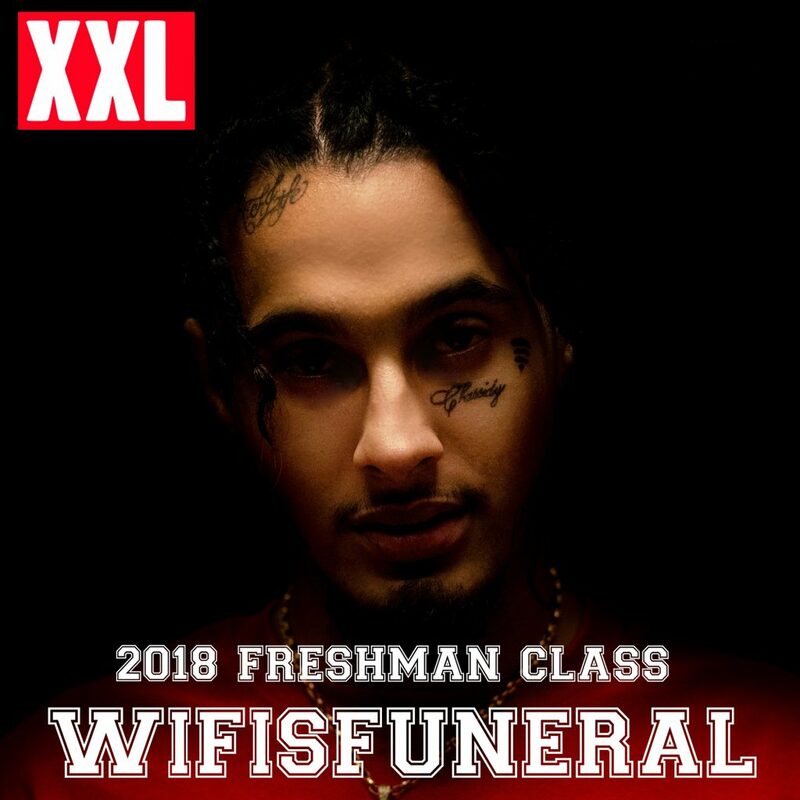 Not even a week out from the release of his latest mixtape Ethernet, which has racked up over 20 million streams, wifisfuneral has been selected by XXL Magazine as a member of it’s prestigious Freshman Class. Alongside wififuneral, this year’s 11th annual class includes Fort Lauderdale, Fla.’s Ski Mask The Slump God, Miami’s Lil Pump, Miami’s Smokepurpp, Atlanta’s J.I.D, London’s Stefflon Don, Memphis’ BlocBoy JB, Birmingham, Ala.’s YBN Nahmir, and Canton, Ohio’s Trippie Redd. “It’s nice to see people finally giving recognition to the credibility of an artist and a movement that Alamo has believed in for a long time”, remarked Todd Moscowitz, Founder of Alamo Records. Moscowitz’ label has two freshmen on the list this year: wifisfuneral and Smokepurpp. 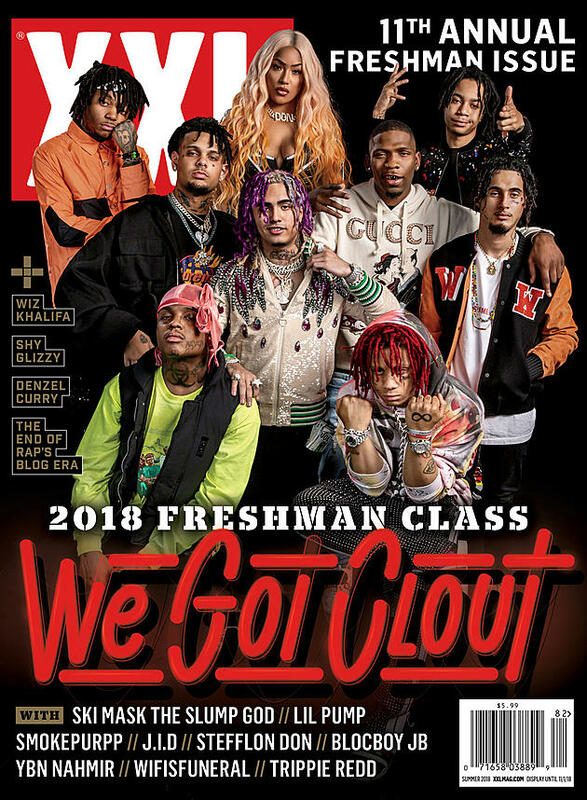 The Freshman issue of XXL will hit newstands on July 3rd, followed by Freshman showcases at New York City’s Terminal 5 on Wed., July 11 and in Los Angeles on Thurs., July 19 at The Novo. Check out the XXL cover reveal here. wifi is also on the Five Five Tour with Pouya. Tickets available here. Please contact Michelle or Dharmic for more info. In just one year, nineteen year old South Florida rapper wifisfuneral has taken his dark sonics, mature-beyond-his-years lyrics, and trunk rattling bass from the streets of Palm Beach to the world, amassing over 920,000 monthly listeners on Spotify and over 500,000 followers on various social media platforms. wifisfuneral’s growth has been organic and cult-like, with his fans spreading his music like wildfire with each and every release. With virtually zero promotion other than his social media presence, wifisfuneral’s independent projects Black Heart Revenge (May 27th, 2016) and When Hell Falls (January 27, 2017) reached #69 and #17 on the iTunes hip-hop charts respectively, resulting in a label deal with Alamo and Interscope Records. His major label debut mixtape, Boy Who Cried Wolf, received critical acclaim, with two of the tracks earning placement in the Spotify’s coveted Most Necessary playlist. His latest release, Ethernet, was released in June 2018 via Alamo Records. Alamo Records is industry veteran Todd Moscowitz‘s new label, founded in partnership with Universal Music Group in early 2017. During the last two decades, Moscowitz established an exceptional track record that also includes signing and working with artists ranging from Action Bronson, Meek Mill, Mike Jones, Migos, Young Thug, Jill Scott, Macklemore and the record labels OVO Sound and Maybach Music Group (MMG). Before launching Alamo Records, in 2013 Moscowitz co-founded 300 Entertainment, a New York-based independent company that signed, developed and broke artists such Fetty Wap, Highly Suspect and Migos.